VinHost  hosting company, which proved itself to be very perspective and promising, dynamically developing IT-company on Ukraine market. The major task we had to accomplish was to create a logo that would make Ukrainian consumers to remember it right away. Color scheme of the logo was chosen based on the willingness to accent people's attention on itself. These particular colors are very attractive and are vivid in both printed and online versions. After that analysis, company's leaders decided to implement the red-black color scheme. The red line, located on top of the company's name, symbolizes the information transfer by the cables of the network. The logo's title font was shrunk intentionally to give it neo-technological appearance. At this point, the logo we created is being used during registration of company's documents, marketing products located both online and offline and company's official corporate web-site. Based on the logo and color scheme we've deloped business card, letterhead and an envelope. Order Corporate Identity Package Now! Zoriy Fine  a photoartist, photojournalist, Master of Fine Arts & Arts in Education, a member of: International Journalists Federation, Russian Photo Art Society, Russian and Ukrainian National Journalists Unions, International Society of Slavonic Journalists. He has been awarded with the prize of the Russian Federation Culture Ministry and he holds the prize of many international competitions in the branch of photography. His personal exhibitions were held in many countries, including Finland, Sweden, France, Russia, Ukraine and Japan. His artwork is beeing kept in many personal collections. By our client's wish, we needed to create a logo that will look lightweight and moved by something, trying to express itself. We've developed several logo examples, and our client chose the following one. Based on the logo and color scheme we've deloped business card and letterhead. We've been offered to develop a logo, complexity of which was built on the tasks that our customer requested us to accomplish. We needed to show all the complex images in one simple logo, and these images had to be obvious to the observer. It is rather challenging to unite and show in one simple logo activities like: BMX extreme, skateboarding, rollerblades and bike trails. More than that, the logo had to look sporty and extreme, catching people's attention. To create this logo our team had to combine their efforts, creativity and enthusiasm. Week had passed, and the final version of logo was released. Following our customer's request we created logo in their company's color theme - black, orange and pale green. We also included a black and white version of logo, which will certainly look catchy on company's souvenirs. One of the main hidden but very important features of this logo is the angle of 45 degrees. This is the degree that provides the maximum jump length and height. That's how we illustrated the idea of BMX jumps. In the right corner of the 8-symbol we put a symbol of a skater, which can be used further in company's marketing theme. We are WDS Design Group, and we are specializing in corporate and small-to-mid sized businesses. We work internationally, providing our customers with service through our regional representatives. 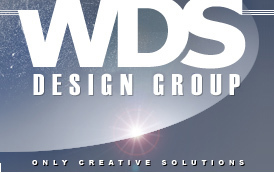 While entering and integrating into the North-American market, we needed to have a renewed logo and new style for WDS Design Group. For a more exact representation of our design group's ideas, we've developed a logo that represents an eagle's head, while the text font represents our field of work and a market sector we target  modern successful companies who look into the future. For a corporate identity color scheme we chose red color and different shades of blue, as well as contrasting black and white colors. Based on the logo and color scheme we've deloped letterhead and an envelope. Kabelspulen Lieferservice GmbH  one of the most successful companies that specialize in producing cable spools for factories over the world, including businesses in Germany, Austria and Switzerland. Creating the unique logo for the company, on which the whole company style was developed. Development of the contemporary "European" style of the logo, which would not only comply with the world's design tendencies, but also would clearly reflect the character of company's activity. All these tasks were completed by our designers on the highest level of completion. For example, the character and scale of company's activity was shown by the Earth globe, which looks like a cable spool, divided by half. Yellow - color of dry wood. Black - color of wood resin. Logo was created by considering the fact that company will also be using it for marketing of their product, where the choice of color scheme was excluded. The black line below represents cable, on which full company name is shown. In conclusion, it's worth mentioning, that it's that simplicity and fresh creativity of the design idea became the major guarantee of product realization.